Excellent value and good quality. 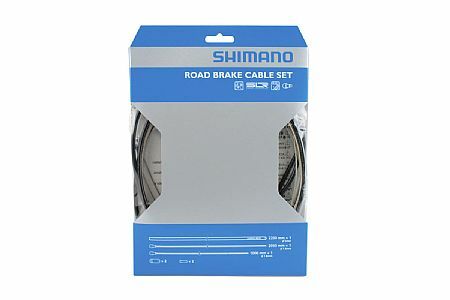 These are great cables, I used them to replace the OE Jagwire cables on my bike. They are a bit more flexible than the Jagwire cables and make tight bends easier. WHile its not Campy, it still is a great product. Used it to rebuild my wife's classic Holdsworth because the orange matched her frame. The cables are super slippery, no drag at all, great tension and will probably last another five years! This cable set matched my bar tape well. It is for the cyclist that wants to add that extra level of style and razzle dazzle!